The recent bankruptcy filing of the Cal Neva Lodge & Casino brings up interesting questions about the future of the resort. Furthermore, taking a closer look at the situation can teach us something about the US bankruptcy process in general. 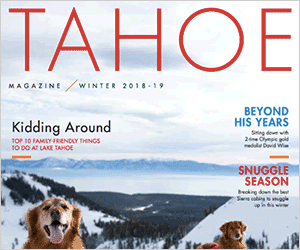 As noticed in Kaleb Roedel’s article on July 11, Cal Neva’s bankruptcy filing was met with frustration and disappointment about the state of one of North Lake Tahoe’s most iconic resorts. Even though the resort has been closed since 2013, its lenders and vendors expect to be paid current on their loans and invoices. When that did not happen, its most senior lender, Ladera Group, moved for a court supervised foreclosure sale. This process allows the property to be auctioned and for the proceeds to be distributed first to the mortgage holder then to lower priority creditors. Cal Neva’s owners, Criswell-Radovan, only had three options available at this time. They could either cure the defaults on the loan, pay it off completely, or file for bankruptcy. Lacking the means to satisfy the mortgage holder, the owners chose the last option. This feature prohibits creditors or anyone else from taking any actions against the debtor. It provides breathing room for the debtor to get its affairs in order and reorganize in a more orderly fashion than a quick foreclosure sale. Once Cal Neva filed for bankruptcy, the foreclosure sale was called off. Looking ahead, while the future is not yet clear we can discuss the debtors’ options. The owners estimate the resort and the Fairwinds Estate located nearby are worth a combined $75 million upon completion. They estimate it will cost $24 million to finish renovations. If we subtract all the money owed to lenders and vendors, the owners believe their equity is still worth over $10 million. At this point, Cal Neva has two main options to emerge from bankruptcy. First we’ll discuss refinancing of the mortgage lender and raising enough money to complete the hotel. A refinancing is not easy to achieve. It requires a new lender having enough faith in the project to lend it more money. However, if they are successful they can show the court how creditors will be treated upon an exit from bankruptcy. Creditors will then have the ability to vote on the creditor’s plan. This is almost certainly the owners preference, as it gives them the best chance to hold onto their equity and continue to operate the hotel. The other option is a sale. The difference between a sale in bankruptcy and one in foreclosure is mostly timing and what liabilities a buyer will need to assume. While a foreclosure sale is quick, it generally doesn’t benefit from a several week marketing process. This means that the money received in the sale will be divided among creditors in order of the bankruptcy code’s priority. For the buyer, they get piece of mind that once they write a check, they get the keys and not have to worry about more payments in the future. The reason the owners don’t prefer a sale is because the price at auction is uncertain. At an auction anything can happen, including the property being sold for less than the value of the mortgage. This would mean that they’d have to walk away from all the time, effort and money they invested since they’ve owned the hotel. While the historic resort’s future is in doubt, I hope this article sheds some light on how events may unfold. The US bankruptcy code is generally efficient in guiding companies to the most economic outcome through a market-tested process. For creditors, stakeholders and potential visitors, I certainly hope that means a speedy completion and reopening. Adam D. Stein-Sapir is a principal at Pioneer Funding Group, LLC, an investment firm based in New York that specializes in bankruptcy cases. Visit http://www.pioneerfundingllc.com to learn more.